ALL THE FACILITIES LIKE SHOPPING MALL, SALOON, PVR AND GOVERNMENT OFFICES ARE LOCATED IN A RANGE OF 1 KM. PROPERTY IS DESIGNED IN SUCH A WAY THAT NATURAL VENTILATION AND NATURAL LIGHTING DOESN'T LACKS. ALL THE ROOMS ARE EQUIPPED WITH MINI FRIDGE, ALMIRAH, SEPARATE COOLING AND WATER HEATING UNITS. WE ARE HAPPY TO TELL THAT WE ARE THE ONLY HOTEL IN TOWN WITH 100% VEG MULTI CUISINE RESTAURANT. WE HAVE BANQUET SEEKING THE GUEST REQUIREMENT LIKE CONFERENCE, GET TOGETHER, MEETING ETC WITH A CAPACITY OF 50 TO 150 COVER. WE PROVIDE ROOM AMENITIES; 500ML MINERAL WATER TO EACH GUEST, COMB, DENTAL KIT, SHAMPOO, BATH SOAP, HAND SOAP, TALCUM POWDER, SHAVING KIT APART FROM THIS SLIPPER IS ALSO AVAILABLE ON CHARGEABLE BASIS. ALL THE ROOMS ARE EQUIPPED WITH SEPARATE AC UNIT, WATER GYSER, ALMIRAH ALONG WITH LUGGAGE TABLE, SONY LCD AND HOUR ELECTRICITY. 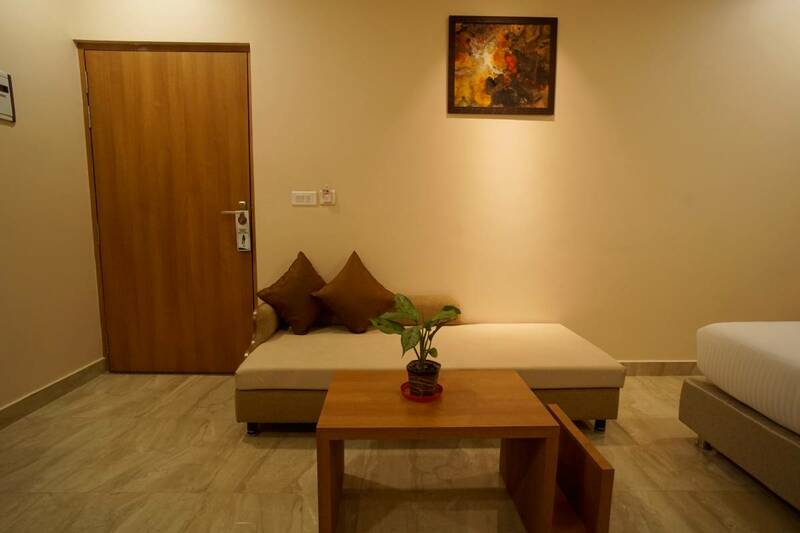 ALL THE ROOMS ARE EQUIPPED WITH ALL THE NECESSARY STUFF SUCH AS SEPARATE AC UNITS, WATER GEYSER, ALMIRAH ATTACH WASHROOM, LUGGAGE TABLE, SONY LCD. WE OFFER ONE 500 ML WATER BOTTLE, SHAMPOO, BATH SOAP, HAND SOAP, TALCUM POWDER, DENTAL KIT COMPLIMENTARY TO EACH GUEST WHO HAS A CONFIRM RESERVATION. IT'S AN OLD AND BEST RESTAURANT AND SERVES BOTH VEG AND NON VEG. ROOM TARIFF DIFFER FROM TIME TO TIME. ONCE BOOKING HAS BEEN CONFIRMED FROM HOTEL PART, WE DON'T ACCEPT CANCELLATION. 50% OF BOOKING AMOUNT IS CHARGED IF CANCELLATION IS ONE WEEK BEFORE CHECK-IN . IF YOU ARE COMING FROM RAILWAY STATION TAKE A EXIT TOWARDS CIVIL LINES GATE, AND CROSS THE STREET(NAWAB YUSUF ROD) YOU WILL FIND US AT CLIVE ROAD(NEAR SANGAM PALACE). ALL THE TRANSPORT ARE EASILY AVAILABLE AS WE ARE SITUATED AT THE HEART OF CITY, IT'S A 10 MINUTES WALK FROM RAILWAY STATION , 15 MINUTE WALKING DISTANCE FROM BUS STAND.